After travelling to Iceland in June, I had a magical 10 days driving around Iceland’s Ring Road. Plus 2 days exploring Iceland’s capital Reykjavik. 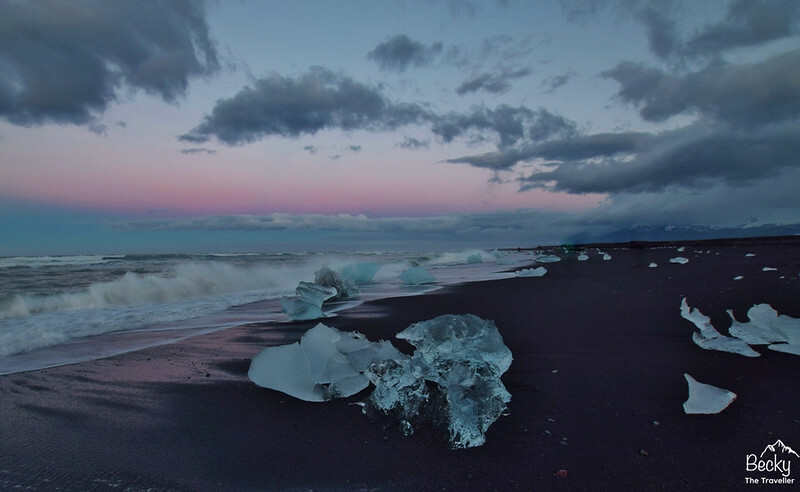 Iceland is a unique country to visit and planning for your trip is really important to make the most of your time there. Here are all the necessary things you need to know about planning a trip to Iceland in June. 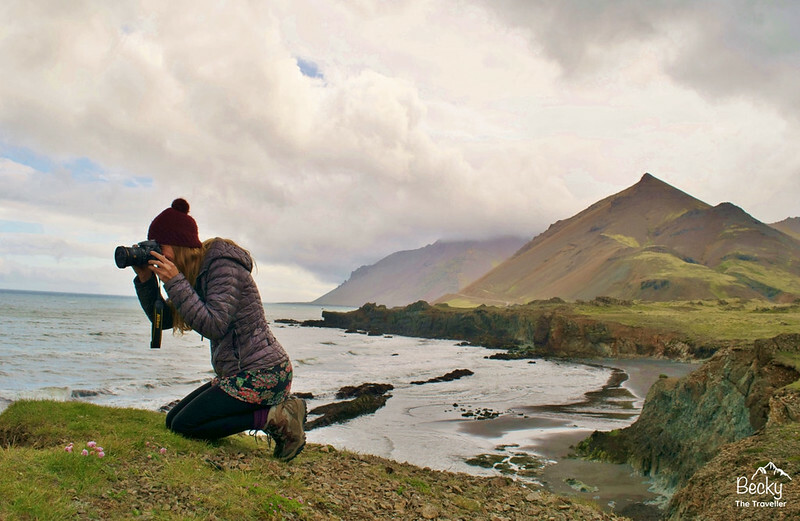 This Iceland guide includes everything, from things to do in Iceland, what to wear in Iceland in June, hiring a campervan, driving the Ring Road to ensure you make the most of your time in this beautiful country. 1.3 What to Wear in Iceland in June? 1.4 What else do you need to take on your Iceland trip? 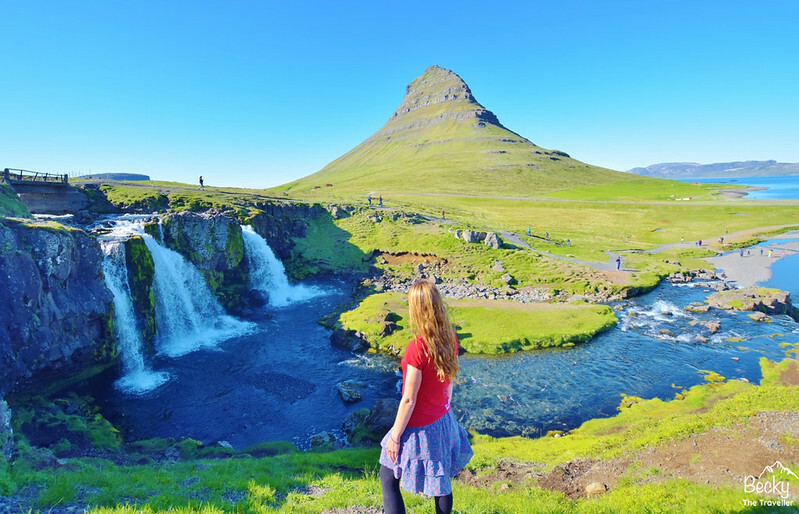 1.5 Visiting Iceland – What is the weather like in June? For my trip to Iceland and to make the most of seeing the country I hired a campervan to drive around the entire Ring Road. June is one of the best months to do this. Why? Because, it’s coming into peak summer season but it’s still quieter, so not as many people around. The weather conditions are better for driving. Although the weather can still change, it’s no-where near as severe as the winter months. 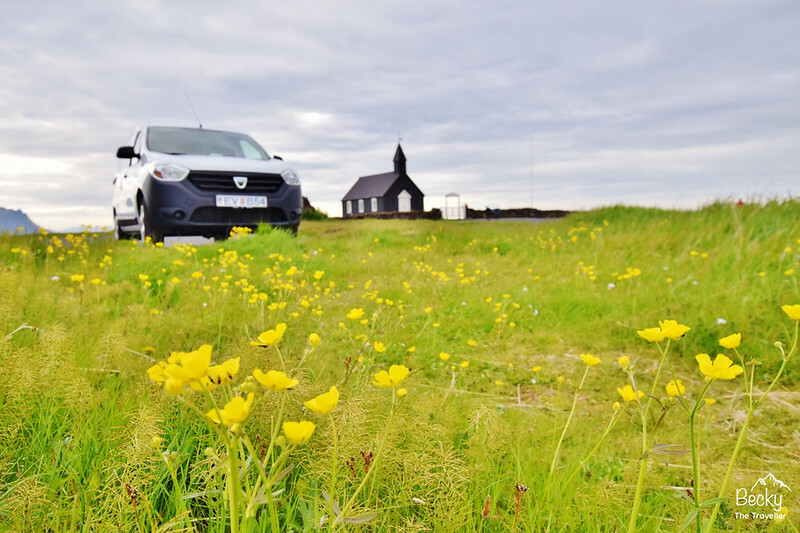 Road trips in Iceland are a popular way of exploring this beautiful country. Now you might have heard about all the stunning scenery but this doesn’t mean you can stop in the middle of the road to take photos. There are plenty of places you can pull over. When you are planning your route, be sure to research rest points on the way and remember not to stop until you arrive! Do you need any Driving Experience? In June, the roads are clear (no snow and ice!) But if you’re visiting in winter then think about your experience driving in icy and snowy conditions. A 4WD is an essential vehicle but you still need to be confident driving in difficult conditions. It’s important to keep a close eye on the weather, even though as I mentioned June is a better month to be driving around. For me driving around the Ring Road was the best way to explore Iceland, but there are some must-see things to do on your Iceland trip! Another summer activity, due to weather conditions you can only hike on the glacier between March to November. But June is a great time to do the hike as the weather has a better chance of being lovely and sunny, which means gorgeous photos! For all the important questions and answers about hiking a glacier, you can read my experience on the glacier. A perfect way to start or end your Iceland trip, explore the beautiful city of Reykjavik with plenty of places to visit and free things to do on your visit. Even in the summer months, the weather can be cold, wet and windy! I hope I’m not putting you off because Iceland is awesome. But you just need to remember to pack and wear the right clothes. Waterproof gear is essential all year round because there are amazing waterfalls that you can walk behind. So if you don’t want to get wet then pop your waterproof jacket and trousers on! It’s best to have plenty of warm layers, as depending on which part of Iceland you are, the wind can be pretty cold! I opted for my hiking boots, perfect for exploring Iceland, hiking and generally keeping my feet warm too. What else do you need to take on your Iceland trip? Another piece of camera equipment. Iceland has some beautiful waterfalls that you can take some amazing photos with a tripod (you know the ones with a blur effect). And in winter a tripod is an essential item for taking those stunning Northern Lights photos. Check out the tripods I use here on my hiking trips and travels. Visiting Iceland – What is the weather like in June? In Iceland, they have a saying, “if you don’t like the weather then wait 5 minutes”. Literally, wind and rain can appear from nowhere and disappear just as quickly. Make sure you are prepared for all weather conditions. There is so much to see outdoors in this country that you don’t want to cut your stay short by wearing the wrong clothes. As you can see from the photo above, I was lovely and warm in my t-shirt on this particular hike. But other days I was glad to have my warm clothes to put on! During your time in Iceland, you can experience extreme gusts of wind. It’s good to remember if you have rented a vehicle then these gusts can be strong enough to damage car doors so something to factor in when taking out insurance for your trip. Before you enter any pools or spas (such as the Blue Lagoon). You must have a naked shower. The Icelandic people take hygiene very seriously. But don’t worry the changing rooms are separate for men and women. And there are private cubicles too. Although the soft appearance might look very tempting to walk on, please don’t. The moss can take hundreds of years to grow back. So your footprints could be there for a very long time. 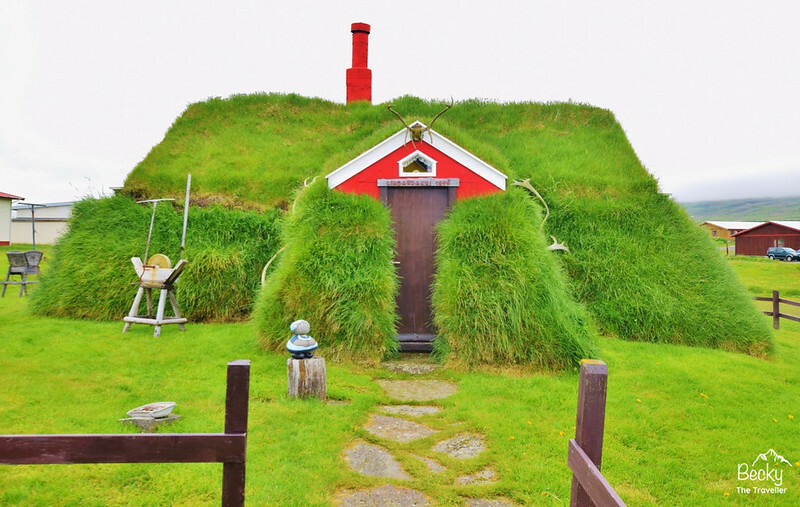 The Icelandic people even love moss so much they put it on their houses. How cute is this house! The water in Iceland is some of the freshest water in the world. You might notice a slight smell, but seriously there’s nothing wrong with it. Remember to pack your water bottle – 1. To save money and 2. To save using plastic bottles! In Iceland, you can buy everything on a card (Debit and/or Credit). Cash is still accepted but you can go the entire trip without using any. I even bought Fish and Chips from a food stand in Reykjavík and paid on my card. Yes, travelling is expensive in Iceland. Accommodation and food costs are high. But that doesn’t mean you can’t still have fun. If you are worried about how much it will cost then go shopping and take a packed lunch with you each day instead of eating out. And for a real way to save money think about drinking less (or no) alcohol as this is pretty expensive. I also took my own tea bags and Sigg Hot & Cold flask so I could have hot drinks on the go! For more Iceland Tips and Inspiration read all my Iceland Posts here!